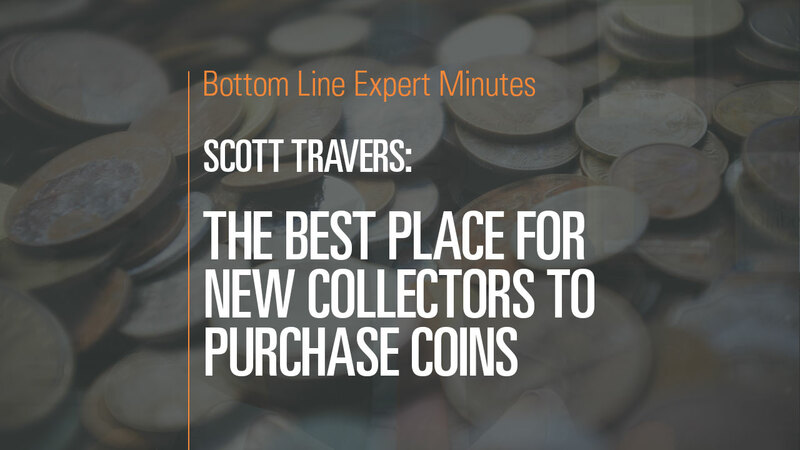 Scott Travers, gold and rare coin expert and author of The Insider’s Guide to US Coin Values, discusses some of the best places for new collectors to purchase coins. The best way, he says, is to establish a personal relationship with a reputable dealer. You can do this by researching local dealers as well as going to the American Numismatic Society’s World’s Fair of Money and other conventions. Besides being a wonderful educational and social experience, these conventions allow consumers to come in contact with some of the top dealers in rare coins. Mr. Travers also says that buying newly minted coins directly from a Mint can be an unwise financial decision—such coins usually cost significantly more than what they are actually worth and often can be found on the resale market for more reasonable prices.